If you’ve been following the news, you’ve heard about his “First 100 Days” and how important they are to a new administration. Interest, attention, and open mindedness (among some) will never be higher. If a new president has got a statement to make or a new direction to take the country in, now’s the time. 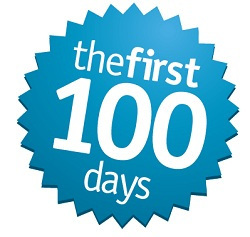 Politics aside, the “First 100 Days” is important to you too. Not for what President Trump will or will not do – but for what you will do. 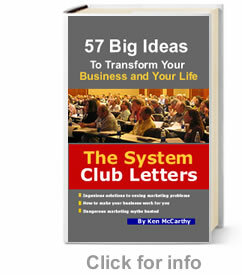 Every time you’re fortunate enough to get a brand new customer, a clock starts running. Your new customer’s interest and even enthusiasm for you is at a high point. They’ve convinced themselves that your offer is attractive and you’re worth buying from. They’re excited. They’re hopeful. Too many marketers “high five” themselves for the sale and go on to the next thing. It’s a list of people who’ve made a purchase recently. Why bother segmenting a list this way? Because, generally speaking, action begets action. Someone who has made a purchase today in a certain marketplace is far more likely to make another purchase than someone who hasn’t visited that marketplace in many months. In the bad old pre-Internet, pre-direct marketing days, it took so much work to get just one sale, the last thing I wanted to do was start “the real work” (whatever that was) after I managed to close one. Like I said, I was young and ignorant. I didn’t realize that the goal of business is not finding buyers – that’s just the warm up. It’s turning buyers into repeat buyers, in other words customers. Customers are where the money is. One-time sales are the great hamster wheel of business. They’ll keep your wheels spinning, but you literally won’t get anywhere. New buyers want their products shipped promptly. They want problems resolved fast. They want questions answered now. The longer the delay, the more their enthusiasm cools. The more their enthusiasm cools, the less chance you will have to sell them the next thing. Also, their receptivity to related offers is sky high right after their purchase. Gary Halbert, one of the greatest sales “engineers” whoever lived knew this. Often the offer would be in the buyer’s hands even before the book made it to him. It sounds crazy, but Gary was crazy like a fox. Of course, only a small percentage of people would go for the multi-thousand dollar lifetime subscription offer, but even just one sale would generate revenue equivalent to the sale of several hundred books. Gary also knew that the interest and enthusiasm people have for things peaks right at the moment of purchase and it starts to cool off immediately so he made sure that a dramatic offer was in their hands as soon after the sale as humanly possible – thus the FedEx package. Hopefully, you’ve sold something today. What are you doing in the way of an immediate follow up…today, tomorrow, next week and the weeks that follow during the golden “First 100 Days” period? Not every communication has to be an offer. Unadvertised bonuses and gifts have a big relationship-building impact too. And their impact is greatly magnified in the first 100 days. “We’re checking to make sure the product arrived in good condition and to answer any preliminary questions you might have.” Then shut up and listen. Not every buyer is going to respond to this attention with a new purchase, but that doesn’t matter. What does matter is you’re giving all your buyers reasons to be happy they bought from you. Don’t just sell and run. Sell and then follow up…relentlessly, especially in that golden “First 100 Days” time frame. “The real work begins AFTER the sale” and if you take this seriously you’ll discover the real money starts flowing then too.